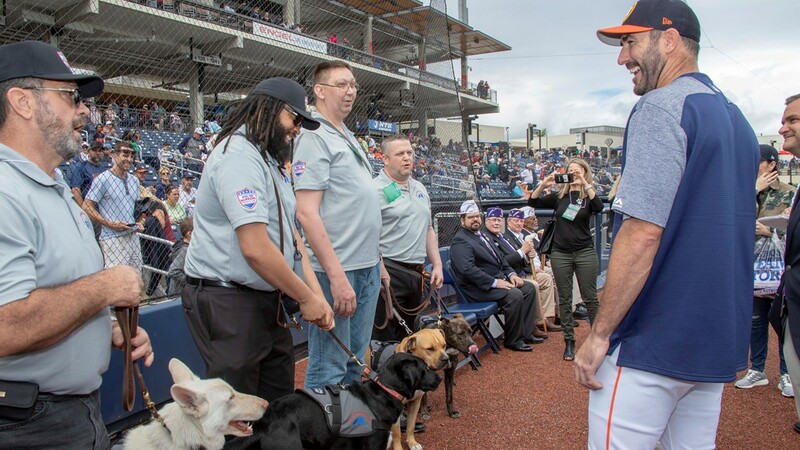 Four military veterans were presented with service dogs this week thanks to Astros ace Justin Verlander and his wife, supermodel wife Kate Upton, as part of a new program through Verlander’s charity. 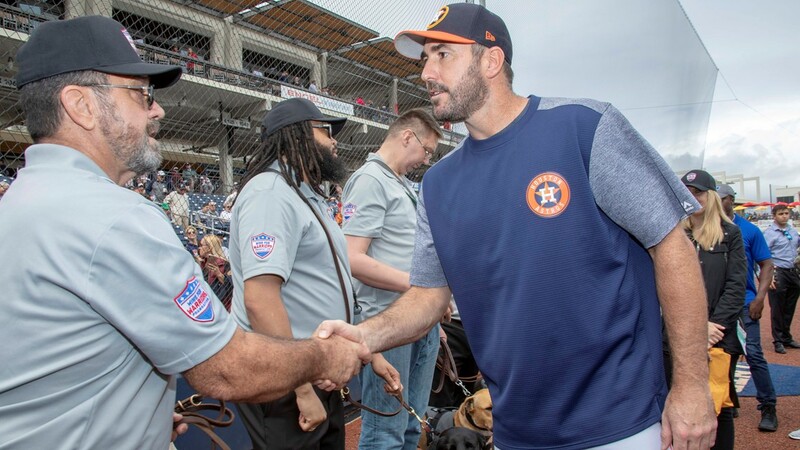 WEST PALM BEACH, Fla — Four military veterans were presented with service dogs this week thanks to Astros ace Justin Verlander and his wife, supermodel wife Kate Upton, as part of a new program through Verlander’s charity. 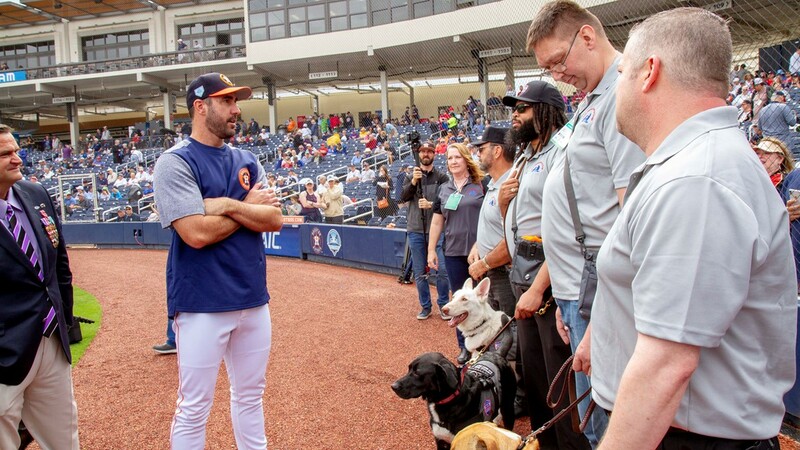 Verlander and Upton presented the veterans with their dogs Wednesday before Houston’s game against the New York Yankees at the Astros’ spring training facility in West Palm Beach, Fla. The veterans and their caregivers were flown from Houston to Florida to bond with their dogs before Wednesday’s game. The new ADOPT. RESCUE. HEAL. program gives dogs at animal shelters a chance for adoption and training as service animals to give comfort and assistance to veterans with PTSD and other injuries. The program is part of Verlander’s Wins for Warriors Foundation. 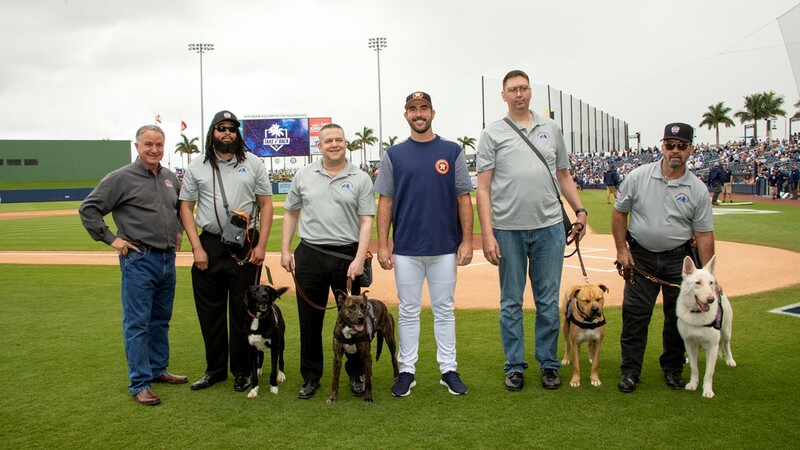 Verlander and Upton met the first four dogs last November when they were adopted from the Houston SPCA. 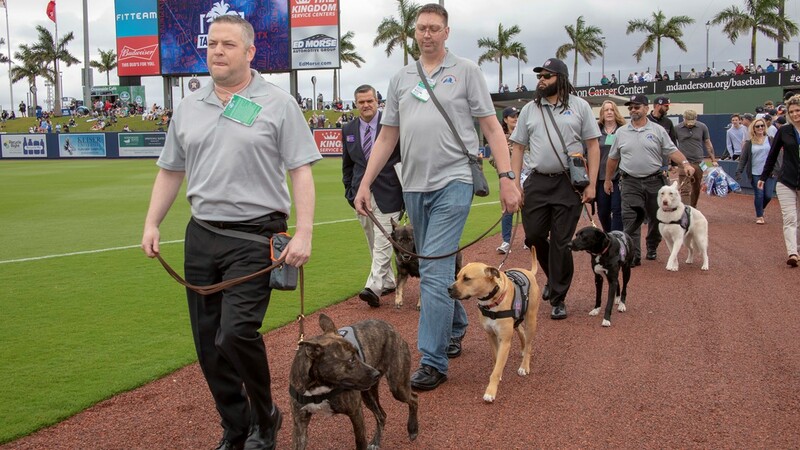 The dogs have since gone through an extensive training program with Ernie Rivera, an Iraq war veteran who specializes in training service dogs for veterans and autistic children.